Is there really a more magical time of the year for children than Christmas? We always try and find a balance between celebrating and enjoying the festive season but also showing our children how important it is to give back, be kind and do our bit for those who are not as fortunate as ourselves. It's easy to forget at this time of the year how hard life can be for those who have very little or are struggling with illness so St Davids Shopping Centre in the heart of Cardiff are running for the second year the Toy Appeal which helps collect and distribute toys across South Wales and received more than 5200 donations last year. It's so easy to get involved and last week while my two boys were extremely lucky to be meeting up with the big red man himself at Hamleys and blissfully decorating biscuits, dancing with Elves and enjoying all the festivities that come with this time of year, we made a point to not pick up any treats in the world famous toy store for ourselves but rather find something special for the Toy Appeal. My eldest decided that music box filled of little instruments would be a great gift for either a girl or boy. 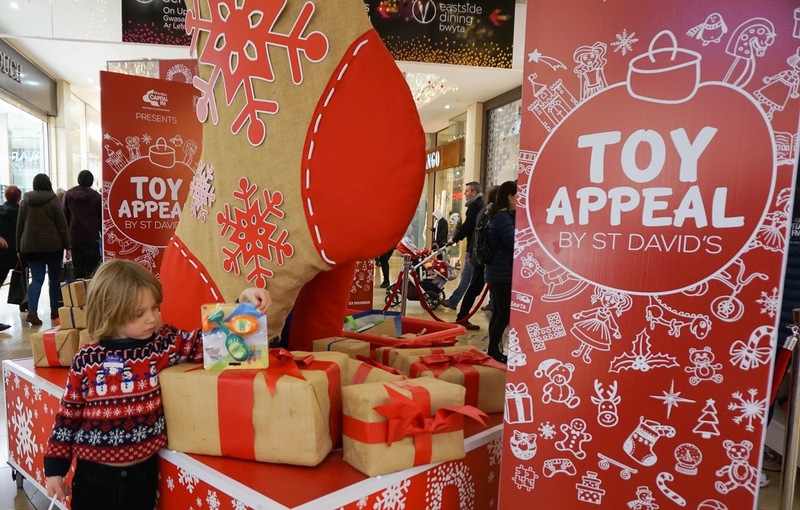 The Toy Appeal is really that simple, while out shopping for family and friends why not simply pick up something big or small to donate to the Toy Appeal which collects presents and distributes them between 12 different local Welsh Children's Charities. 750 new toys have already been dropped off at Ty Hafan, Gibbonsdown Children's Centre and Y Bont this December and another drop is planned soon. All you have to do is buy an extra gift for a child in need, drop it off at the collection station near Clogau store and in return for a Christmas chocolate coin and an exclusive 10% off purchases at Hamleys. 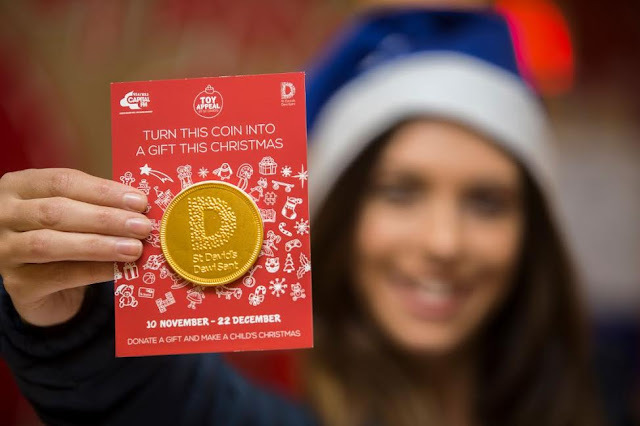 Its not just the fantastic Toy Appeal that is going on in the centre this Christmas but also a whole range of activities to get into the festive spirit. As a family we are fairly minimal and unmaterialistic which is why we love the Toy Appeal as my eldest really enjoyed picking a toy and knowing he was bringing joy to someone else but equally we also like getting creative and keeping the magic of Christmas and Santa alive. 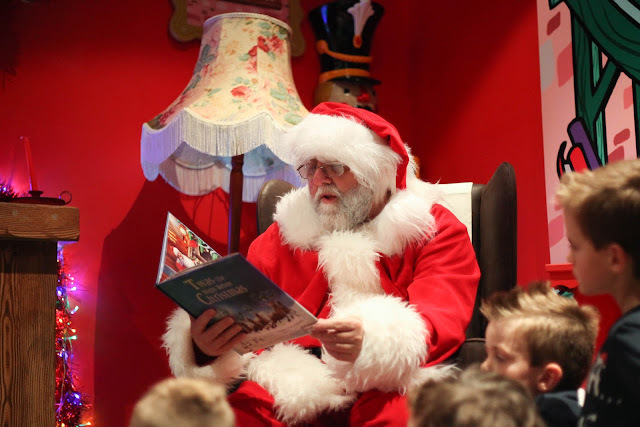 So if you are in the city centre than Hamleys is offering "Meet Santa" sessions which includes games, decorating biscuits with the elves, story time with Santa and a one to one meeting with him. At the end of the session each child also gets a little gift bag including a special Hamleys Bear, Mr Men book, Hamleys Chocolate bar and tree Decoration which I would value at around £15 which is not bad when the whole 45min experience costs £19.99 and is suitable for children aged 2-8. 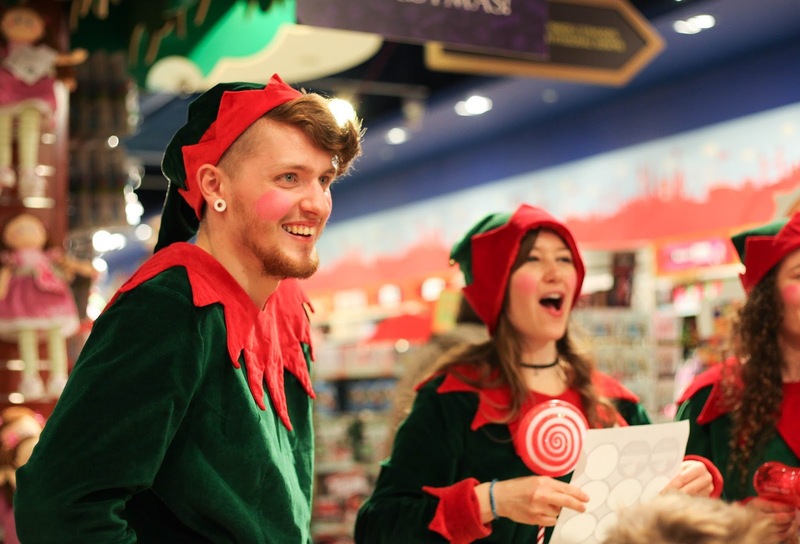 Treetops Adventure Golf also has a range of events taking place this December with a Christmas Jumper Day on the 16th in aid of Save The Children as well as Art and Craft sessions and The Christmas Canopy Trail. This is such a great campaign, my local Co-Op does something like this too. 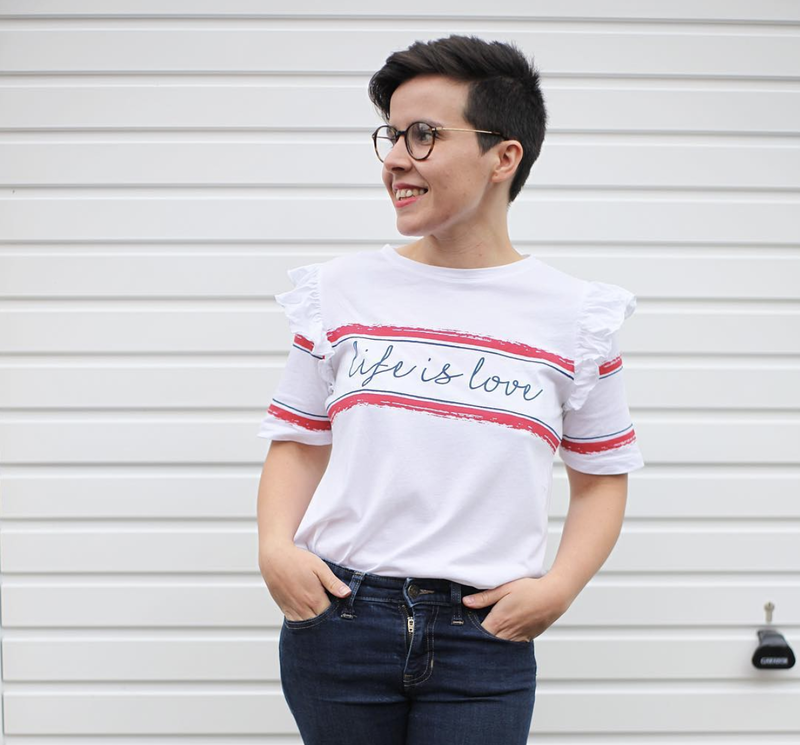 Have been thinking of donating for a while. Will make sure I DO this year. It's so lovely to be mindful of others at this time of year. I donated to Crisis but this sounds like a lovely cause too. This is such a good compaign for such a good cause. We do Operation Christmas child boxes and love seeing the kids reaction when they open them. The toy appeal is a very good idea and definately a great cause. The only downside to it is that Capital FM (one of the worst radio stations ever) have to put their name on it.